"Getting mom-to-be to hit a few balls," Sania Mirza's sister captioned it. As the two sisters are seen giggling and playing their father Imran Mirza too was there next to the court and advising Anam about "wrong foot". One would think pregnancy might keep tennis player Sania Mirza off the court, but that’s clearly not happening. In a video shared on Instagram by her sister, Anam Mirza, the siblings are seen engaging in a friendly fight. And no points for guessing, it’s the six Grand Slam titles winner who won the match. “Getting mom-to-be to hit a few balls,” her sister captioned it. As the two sisters are seen giggling and playing their father Imran Mirza too was there next to the court and advising Anam about “wrong foot”. 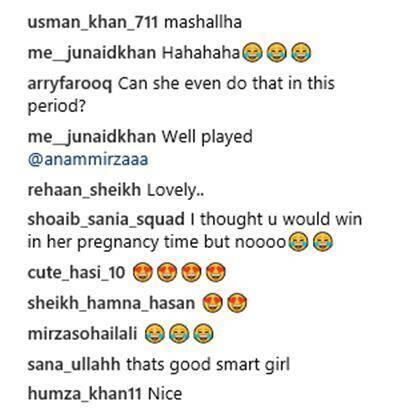 “@imranmirza58 doesn’t think too much of my tennis skills,” Anam added in the caption, poking fun at her playing style, using hashtag #zerotennisskills. The video garnered a lot of attention online with many going awww. But some were disappointed that Anam lost even this time.